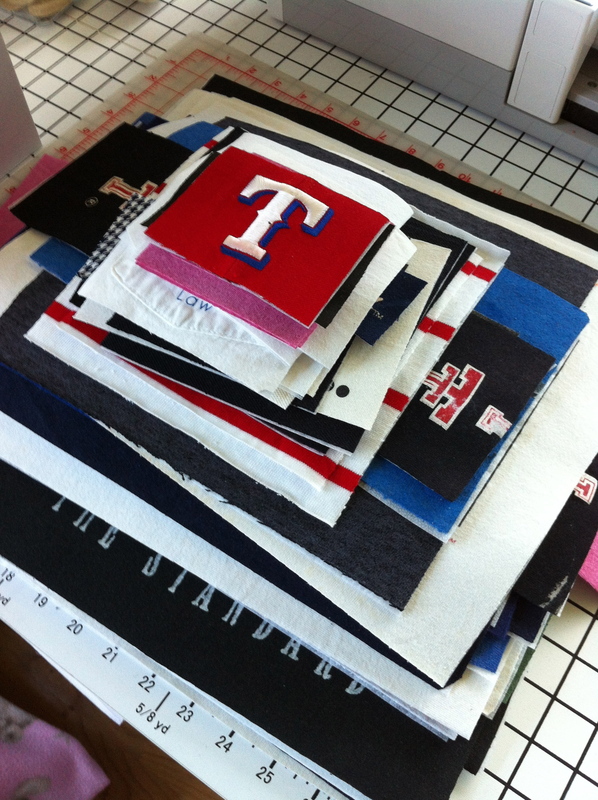 Finally, after a week of slicing and dicing, I managed to get all the t-shirts, hats, ties and other fiber items cut into manageable size pieces ready for their next step on their memory quilt journey. 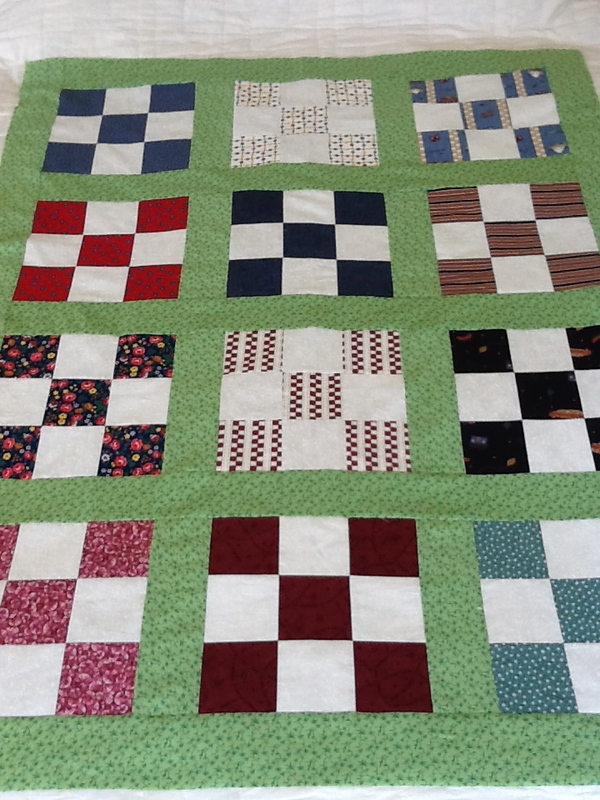 As it turns out, I have enough pieces for four distinct quilts. I love love the memory quilt idea. 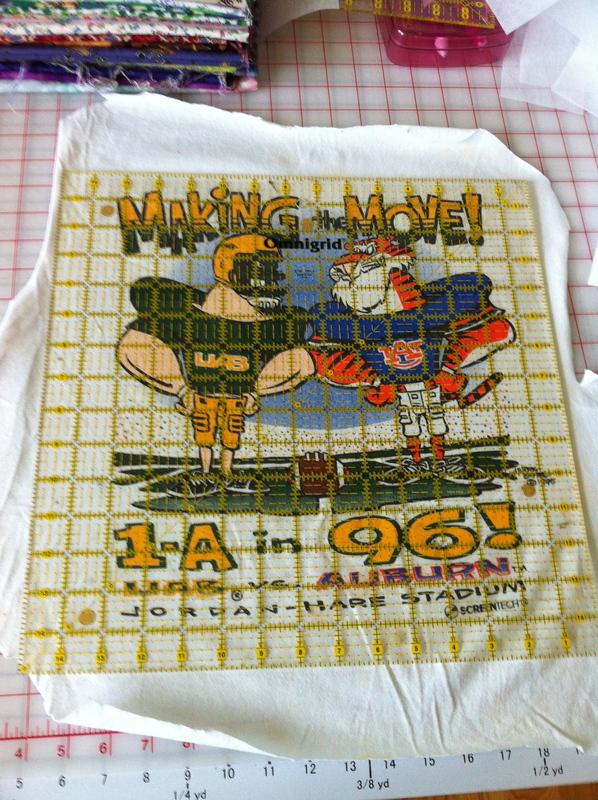 About how many t-shirts are you able to put into a quilt? 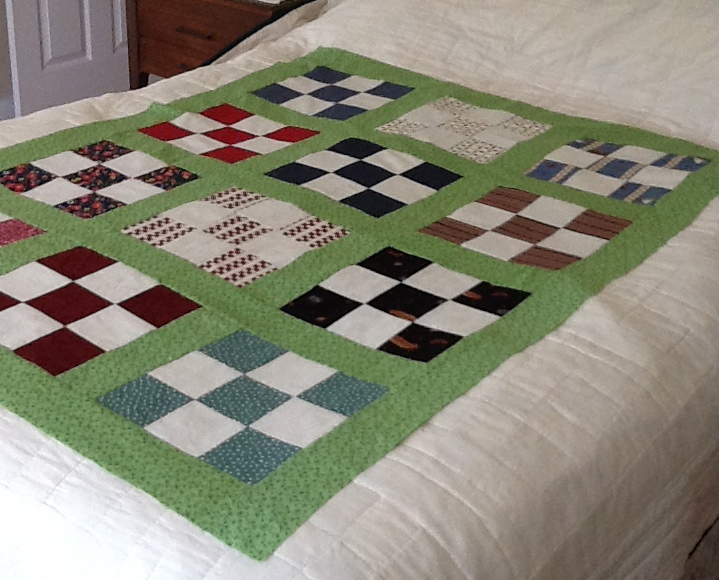 Is it more time consuming than a regular quilt (can you tell I’m not a quilter?)? You have been one more cutting fiend! Wow, that;s alot of blocks. Love the little couch potato nine block. Would make a great child’s bed coverlet.